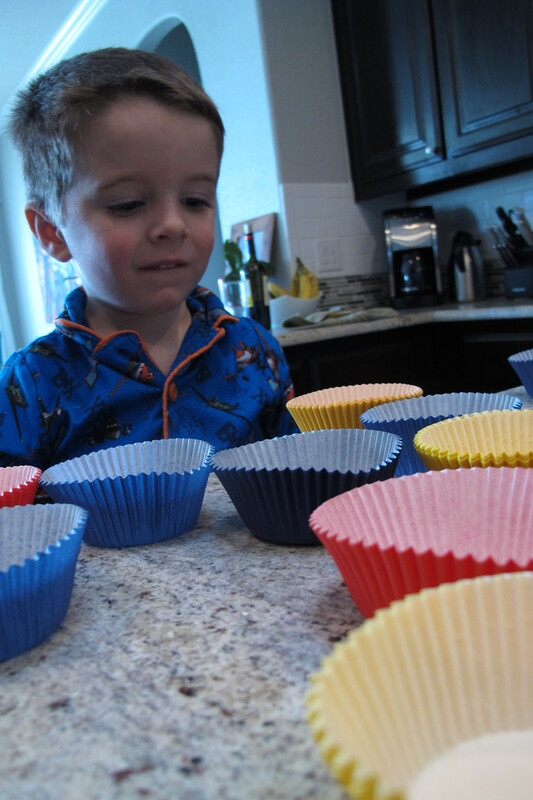 So, a few weeks ago, Michelle over at Home For Now made these adorable ombre cupcakes for Valentine’s day. And they looked dee-licious! I literally went to the grocery store on my way home to get ingredients as I craved cupcakes so badly after reading her post. Seriously, read it. You won’t make it home without cake mix in tow. Trust me. 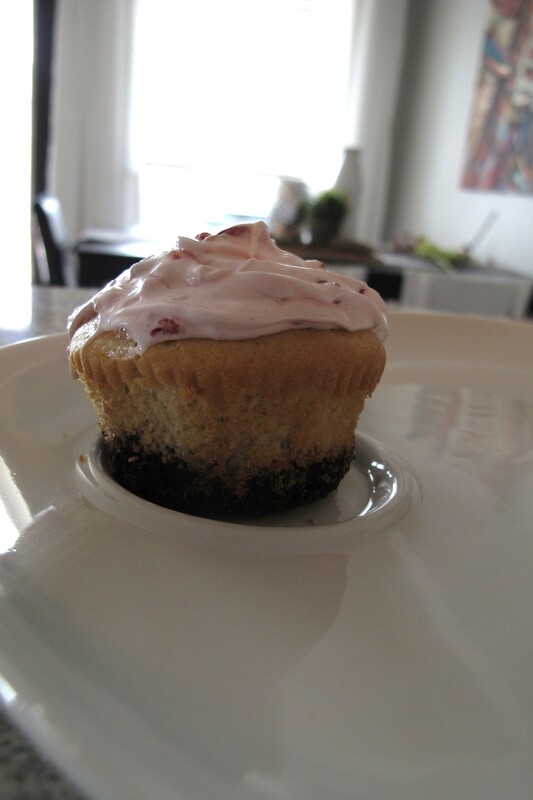 Anyways, thanks to my new-found inspiration, I thought making cupcakes would be a fun V-day activity to do with Lucas. 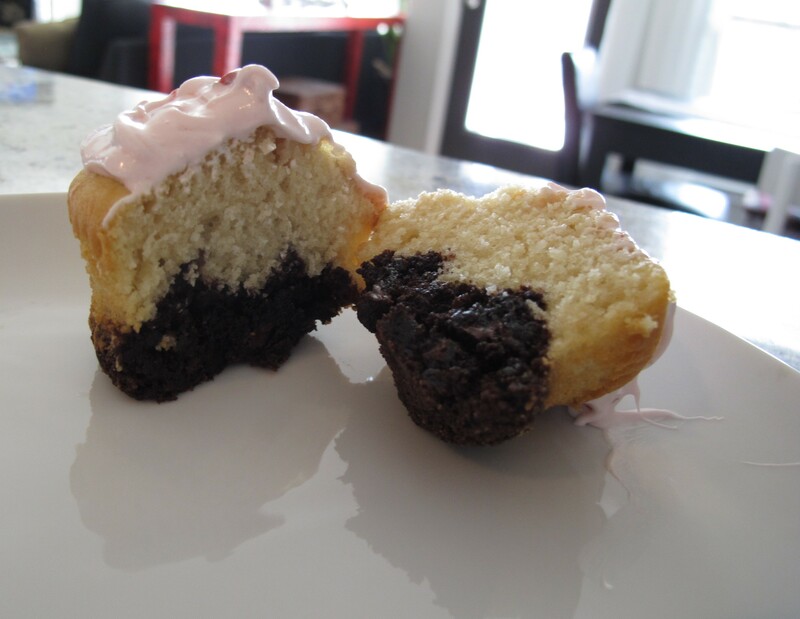 I decided on my Neapolitan cupcakes since it’d been a while since I’d made them. FYI… These were not my idea. They were actually a compilation of ideas that I got from Pinterest. I just decided to combine them Neapolitan-style. I’ve made this recipe for various occasions in the past and they’ve practically flown off the platter. They’re definitely one of those “looks way harder than they are” type of things. 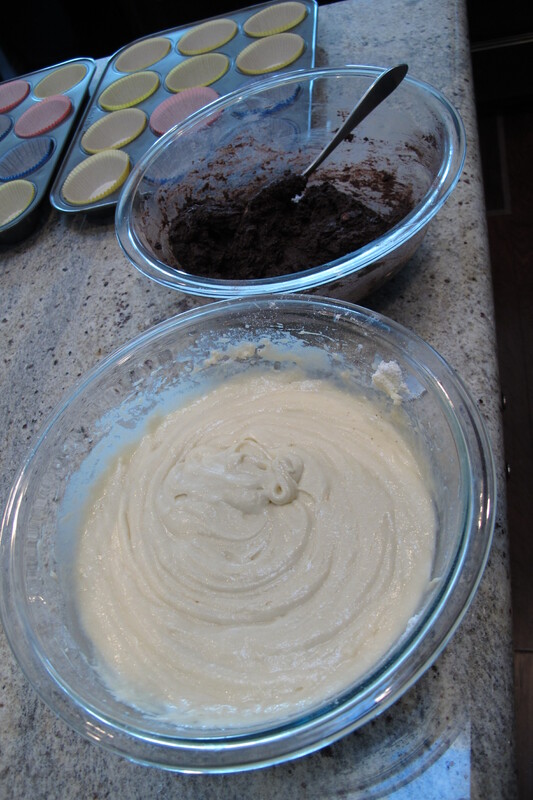 You just need vanilla cake mix and brownie mix. 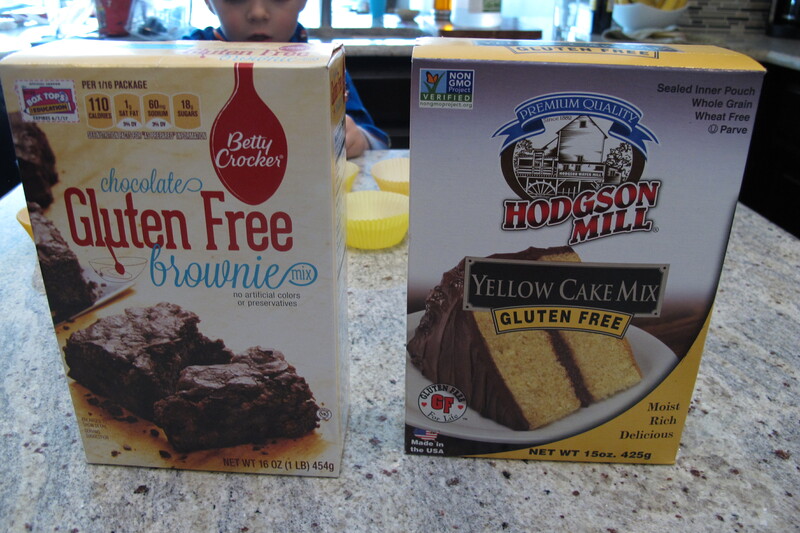 Since we’re gluten-free, I purchased these mixes…. 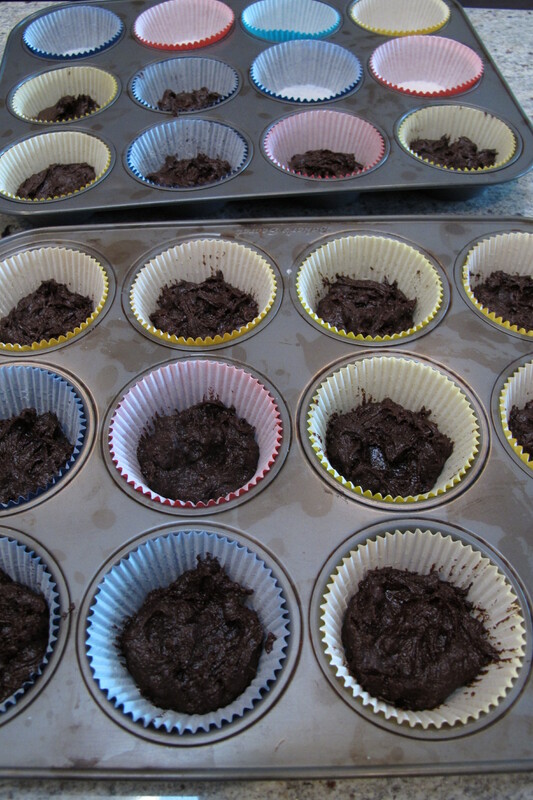 I prepared the mixes according to the instructions…. 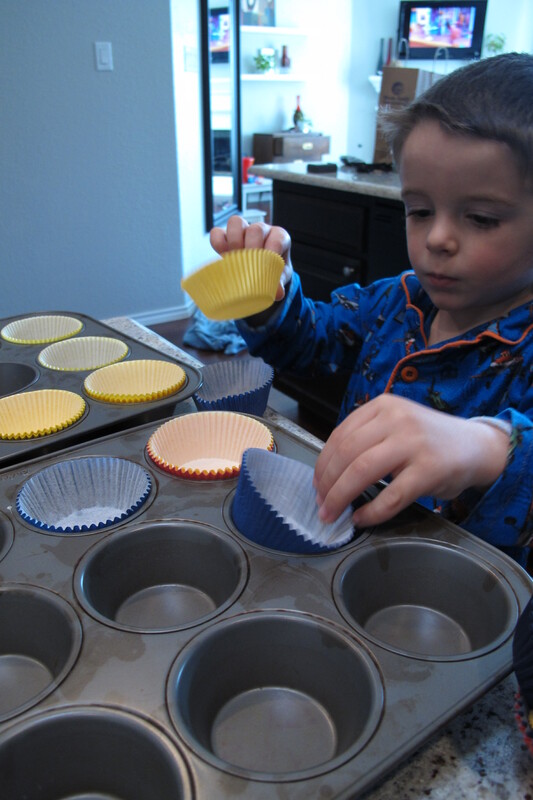 Lucas was in charge of cupcake liners…. 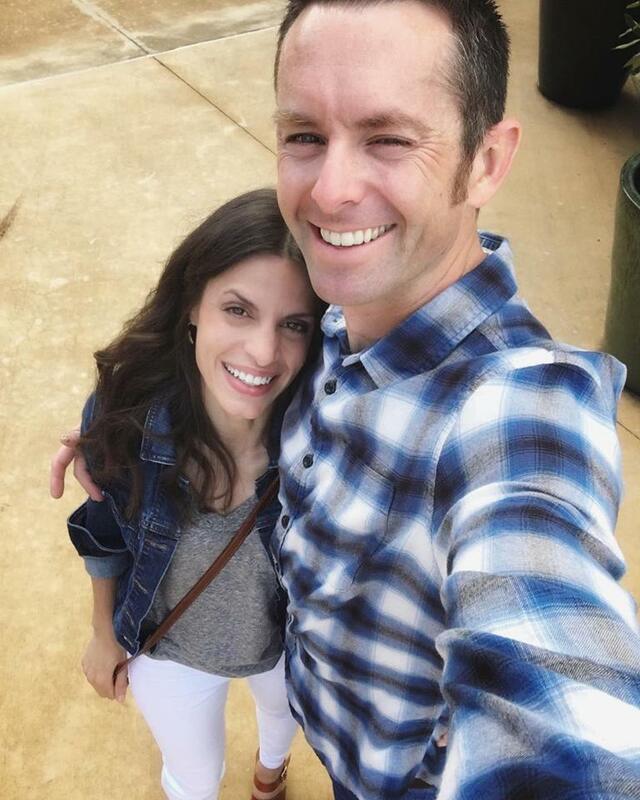 Be still my sappy heart. 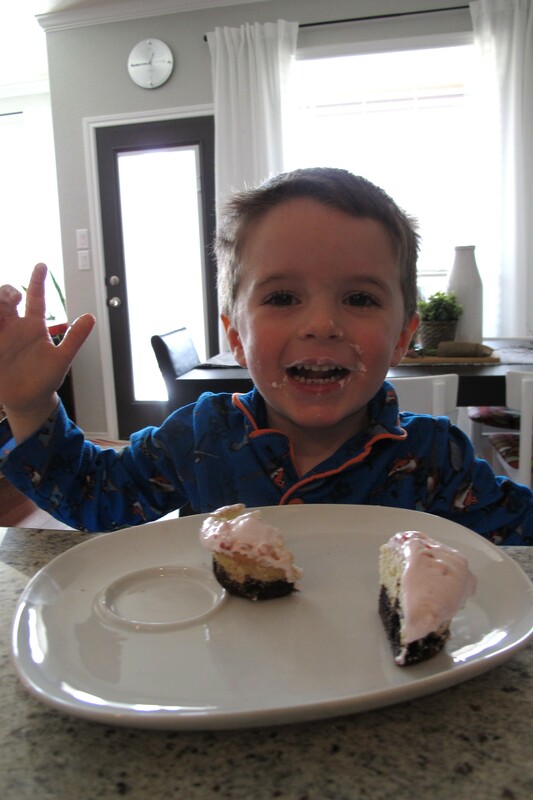 And a layer of cake mix…. 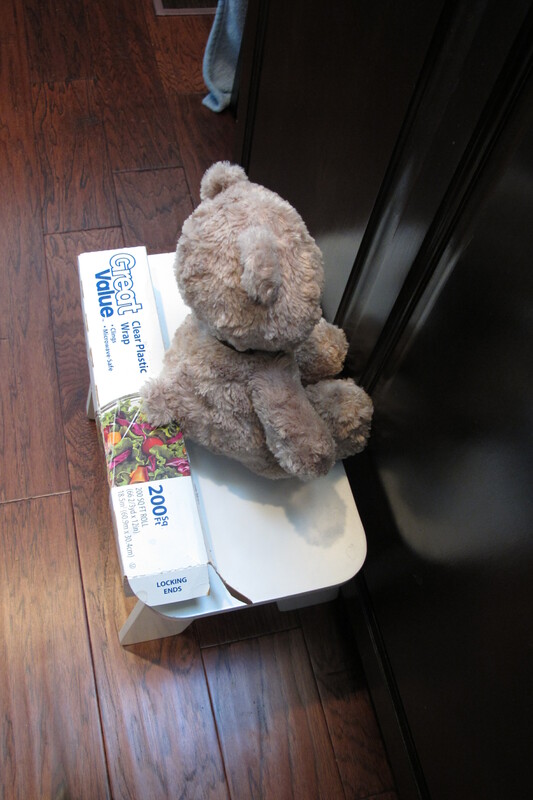 And bake according to the instructions. 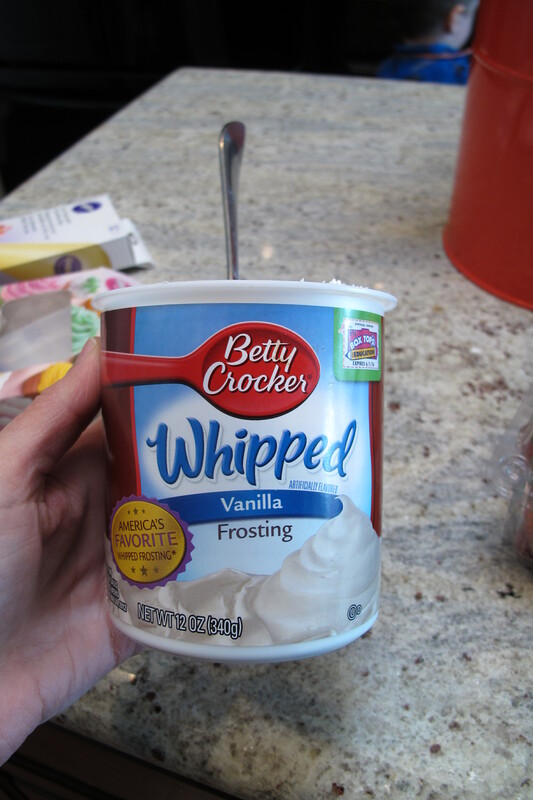 For the frosting, I simply used store-bought white frosting…. 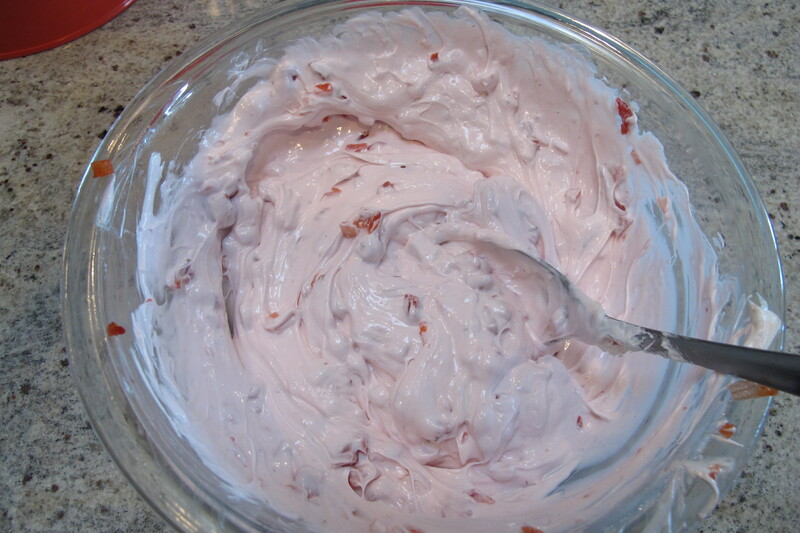 And mixed in 5 or 6 finely-chopped, ripe strawberries…. 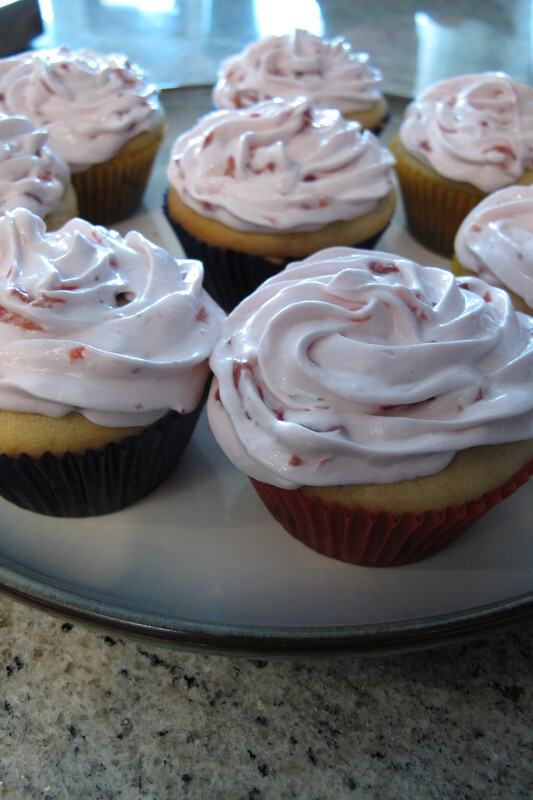 …which impart such a fresh, bright strawberry flavor to the frosting. This is probably one of my favorite Pinterest tips to date. 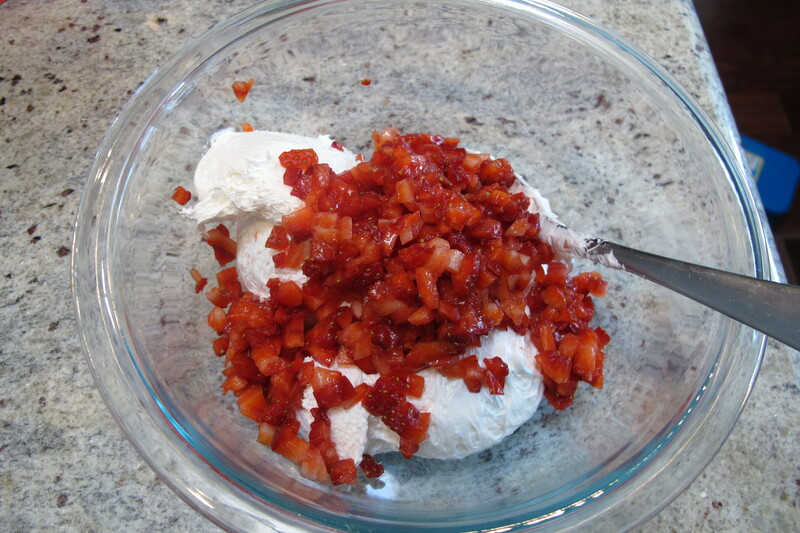 So, tasty and simple. 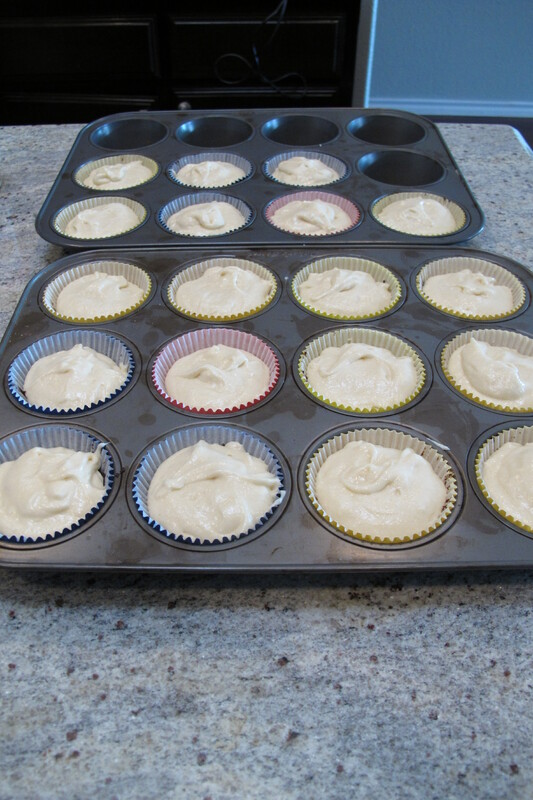 I frosted the cupcakes using the same method that I described in this post. And here they are…. « House tour page now available!!! I’m definitely going to try this. I’m always looking for easy recipes. I love the picture of Lucas at the end!